Many small firms view legal billing as a means to an end, yet struggle to get paid. This is underscored by recent studies that show law firm billing realization rates are declining, hitting a 10-year all-time low in October 2015 and continuing to decline into 2017, according to a 2015 and 2017 Georgetown Law Center and Thomson Reuters Peer Monitor Report on the State of the Legal Market. When you’re a small-firm attorney responsible for performing substantive work in addition to management functions, low realization rates can be particularly devastating. With only so many hours in a day, putting in more billable time just isn’t a realistic option. It’s time to start working smarter, not harder. Smarter starts with understanding changes in the legal marketplace. It’s a buyer’s market. Clients are demanding predictability with respect to fees and that attorneys use cost-effective business practices. They are also no longer willing to pay for firm inefficiencies, including unnecessary time spent on administrative work or processes that a computer could handle in a fraction of the time. A highly efficient firm will attract and sustain clients, achieve high realization rates, and enjoy a growing bottom line. A focus on firm processes and procedures is key to becoming a highly efficient firm. When it comes to combating low realization rates, billing should not be viewed merely as a means to an end but as an important procedure worthy of management resources and attention. Accomplish this by reviewing the eight legal billing best practices and procedures below. Then update the procedures accordingly for your firm, memorialize them, and train everyone in your firm on the new procedures. Have a system for selecting clients that starts with client intake and an interview. Develop a grading system to vet potential clients. List your criteria for your A, B, C, and D client, and use this criteria to guide your selection process. As soon as you spot a D client, it’s time to end the interview. In this scenario, because they use technology and are more efficient in their work output, Firm B can double the revenue of Firm A. Whether you bill by the hour or use a flat rate, make it a practice to collect money up front. Review your jurisdiction-specific rules to determine whether you must first deposit this into your IOLTA account or whether it can go directly into your operating account. When a client is willing to pay you up front, it demonstrates an ability to pay and invest in the case. Again, clients like predictability; thus, if you can bill with some regularity, you’ll have an easier time collecting money owed. Whatever you do, don’t let too much time pass between when you complete work and when you send out the bill. The more time that passes, the less likely the client will be to pay. This goes for collections as well. The probability of receiving payment diminishes the longer an account goes unpaid. To make this easy, you can track everything from unbilled time to aging client receivables in a convenient financial performance data dashboard within a law practice management system. It should go without saying that to get paid what you are owed, you must track and record your time. If you are billing at the traditional rate, failing to record your time for a mere six minutes per day can result in thousands of dollars lost over the course of a year. Too many attorneys attempt to reconstruct their time at the end of the day or even worse at the end of the week. Contemporaneous timekeeping is a must. The most effective way to track your time contemporaneously with your work is by using time and billing software within a law practice management system, such as Firm Central, that allows you to start and stop a timer, add time manually, and convert it directly to invoices without double entry. Tracking your time contemporaneously will also lead to more complete and accurate time records. When tracking your time, be sure to include all relevant data about your work. When it comes time to bill, you’ll use that information to demonstrate value to your client, thus increasing the likelihood of payment. Clients like their attorneys to treat them as though they are the number-one priority. If you don’t give them the attention they need, they will be less likely to pay. You should implement processes to send out regular reports regarding the status of your client matters and the good work you are doing to help demonstrate your value and make your clients feel comfortable paying your fee. Technology can help here. Use your law practice management system to set up reoccurring tasks or calendar notifications, or use your client portal to share information with the click of a button. If a client stops paying you, have a procedure to assess and effectuate withdrawal – as dictated by your state’s ethics and court rules. Refer back to the client expectations delineated in your written fee agreement to help assess the situation. If you plan to depart from a case involving potential litigation, seek and acquire leave of the court prior to terminating the client relationship. As a last resort (and I can’t emphasize this enough), you can hire a collections agency or sue your client for fees owed. Before you take those measures, be sure to have, and follow, a firm collections policy that details how you track client payments and handle nonpayment. When embarking upon these measures of last resort, be sure to weigh all the risks and associated costs. You should make it a practice to report and analyze that data on a regular basis to determine where you can make improvements. Most lawyers I know went to law school to become lawyers and not business managers. But, the reality is that in a small-firm setting, every attorney and staff person must make a contribution to the business side of the practice. If you use these best practices to review, revise, and supplement your own legal-billing procedures, you will be well on your way to a more efficient and effective law practice. This, in turn, will allow you spend more time on the substantive side of practice, increase your bottom line, and maybe even allow you to take a vacation once in a while. 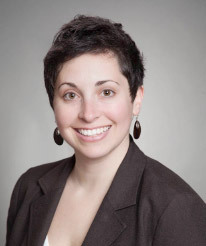 Heidi Alexander is director and law practice advisor for the Massachusetts Law Office Management Assistance Program and deputy director of Lawyers Concerned for Lawyers, a nonprofit lawyer assistance program. In a small law firm, it is a constant struggle to balance the practice of law with managing the business. Get three tips to help you find balance and feel like a real lawyer again. Are you happy with your law firm's legal billing process? If you still track time on paper or in spreadsheets, it is time to consider a new approach.